报告摘要：In the talk, Prof. Chen will briefly summarize our recent progress in Molecular-scale Interface Engineering for Molecular and Organic electronics and 2D Materials, including (1) Rational design of self-assembled molecular nanostructure arrays over macroscopic area with superior multi-functionalities for molecular nano-devices; (2) Molecular-level interface engineering for organic electronic devices, organic photovoltaic cells; and (3) Interface engineering for graphene and 2D materials. In particular, he will summarize and discuss our recent work for interface engineered 2D materials (phosphorene and MoS2) based field-effect-transistors (FETs) and photo-transistors, through the combination of in-situ FET device evaluation and photoelectron spectroscopy investigation. We will particularly emphasize on the electron and hole doping effect on the transport properties and optoelectronic response of phosphorene and MoS2 devices. 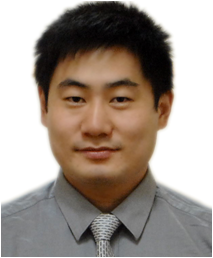 Dr. CHEN Wei is currently an Associate Professor (2013 - ) in both Chemistry Department and Physics Department at National University of Singapore (NUS). He received his Bachelor’s degree in Chemistry from Nanjing University (China) in 2001, Ph.D. degree from Chemistry Department at NUS in 2004. His current research interests include Molecular-scale Interface Engineering for Molecular, Organic and Graphene Electronics, and Interface-Controlled Nanocatalysis for Energy and Environmental Research. He has also published more than 200 papers on high-impact peer-reviewed journals in these topics, including 14 invited review articles, and receiving over 4700 citations with H-index of 37. Dr. Chen is a recipient of the Lee Kuan Yew Research Fellowship (2006), Omicron Nanotechnology Award (2009), Hitachi Research Fellowship (2010), Singapore Young Scientist Award (2012), and NUS Young Scientist Award (2013).